An end to the persistent feud between the presidency and the National Assembly appears to be around the corner with the ruling All Progressives Congress (APC) and the lawmakers setting up an 11-man inner caucus standing committee to deal with all such issues. The caucus comprises President Muhammadu Buhari; Vice President Yemi Osinbajo; Senate President Bukola Saraki; House of Representatives Speaker Yakubu Dogara; Secretary to the Government of the Federation Boss Mustapha; Senate Leader Ahmad Lawan; and House of Representatives Majority Leader Femi Gbajabiamila. The rest are APC National Chairman , Chief John Odigie-Oyegun, Deputy National Chairman (North), Alhaji Lawan Shuaibu; Deputy National Chairman (South), Engr. Segun Oni; and the National Secretary, Alhaji Mai Mala Buni, The Nationgathered last night. The committee is expected to be a proactive type and is charged with the responsibility of curbing friction between the two arms of government. It was learnt that the committee will be meeting from time to time on government policies, plans, bills, emerging issues likely to cause conflict, appointments for ratification and reservations by both arms, especially the National Assembly. 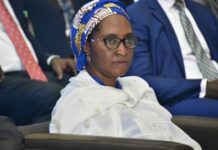 Although the new plan is yet to be submitted to President Buhari, the party is confident that the presidency and the National Assembly will come to a “compromise” on the proposal. The establishment of an inner caucus committee was the major highlight of Wednesday’s closed-door session between the APC leadership and the party’s caucus in the Senate. Sources close to the meeting said APC Senators protested alleged unfair treatment by the presidency and the party leadership. 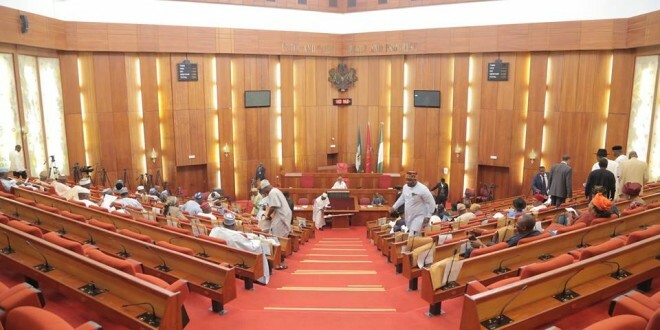 The Senators recommended the adoption of the inner caucus approach practised by the defunct National Party of Nigeria (NPN) in the Second Republic. It is to bridge the communication gap among the Presidency, National Assembly and APC leadership. 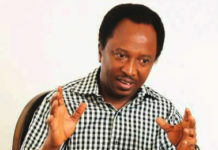 One of the sources said: “We resolved to set up an inner caucus committee with membership drawn from the Presidency, National Assembly and APC. “It will be a standing committee not only for the resolution of the present crisis of confidence between the two arms, but to reunite and stabilize their relationship. 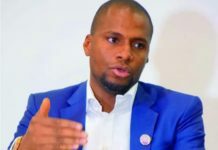 “The 11-man caucus, which will be meeting regularly, comprises three representatives from the Presidency, four from the National Assembly and four from the APC. Another well-placed source said: “We want to return to the model used by the defunct National Party of Nigeria (NPN), the Unity Party of Nigeria (UPN), the Nigeria Peoples Party (NPP), the former Social Democratic Party (SDP) and even the Peoples Democratic Party (PDP). “The inner caucus formula assisted ex-President Shehu Shagari in the Second Republic with the late Senate Leader, Dr. Olusola Saraki, playing a prominent role in facilitating a mutual working relationship between the Presidency and the National Assembly. “We were displeased that after winning election in 2015, the Presidency and the party did not care much about its caucus in the National Assembly. We did not know anything about policy direction of our government and the level of support needed. 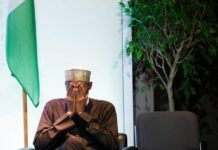 “Worse still is the fact that the Presidency took things for granted as if it is mandatory for all APC members in the National Assembly to dance to its tunes. When there were genuine criticisms on the floors of the Senate and the House, it was always easier for the Presidency to read meanings into these. When contacted, the National Publicity Secretary of the APC, Mallam Bolaji Abdullahi, said: “The setting up of the inner caucus was agreed upon at the meeting between the leadership of the party and the Senate caucus. Worried by the cold war between the Presidency and the National Assembly, Oyegun had met with Saraki and other leaders of the legislature. Alleged refusal by NASS to keep to agreement on early passage of 2018 BudgetNon-submission of 2018 Budget details by the MDAs, especially over 50 parastatalsNon-clearance of more than 50 nominees presented to the Assembly by the ExecutiveAlleged deliberate frustration of the administration of the President by the lawmakersStoppage of alleged hounding of Saraki and other National Assembly members by anti-graft agencies after glaring cases of acquittalCompliance with the resolutions/ decisions/ summons of the National Assembly by the ExecutiveDropping of the nomination of Mr. Ibrahim Magu as the candidate for the chairman of the Economic and Financial Crimes Commission (EFCC).